Hebrews 7:22-25 says: "This makes Jesus the surety of a better covenant. The former priests were many in number, because they were prevented by death from continuing in office; but he holds his priesthood permanently, because he continues forever." Millions of Protestants and members of various quasi-Christian sects see in this and similar texts "proof" that a Catholic understanding of the priesthood is false. After all, don’t Catholics claim to have priests who are "many in number?" The Protestant interpretation of Hebrews 7 is contradicted by 1 Peter 2:5-9. Peter says: "like living stones be yourselves built into a spiritual house, to be a holy priesthood, to offer spiritual sacrifices acceptable to God through Jesus Christ . . . But you are a chosen race, a royal priesthood, a holy nation, God’s own people . . ."
When Peter declares all Christians to be priests, he does not contradict Christ as our "one mediator between God and men," which is the definition of a priest (1 Tm 2:5). The Catholic Church affirms and harmonizes both texts and both concepts. There are two keys to understanding Hebrews 7. Context: The inspired author is showing the superiority of Christ’s priesthood in contrast with the Old Covenant priesthood. He never denies the existence of a New Covenant priesthood. Distinction: Christians do not usurp or diminish the unique priesthood of Christ when they are made to be priests. Unlike Old Covenant priests, they participate in the one priesthood of Christ. So intimate is the union of the baptized with Christ that St. Paul describes it as a body (cf. Rom 12:5,1 Cor 12:12-27) with Christ as its head (cf. Eph 1:22-23). What can be attributed to a hand in the body does not somehow take away from the head. It is Christ who empowers all Christians to participate in his priesthood. Indeed, it is "Christ [and his priesthood] living in them" (cf. Gal 2:20). First Peter 2 indicates that all Christians are priests—but it does not mention the existence of a ministerial priesthood. Indeed, the ordained ministers of the New Covenant are called apostles (cf. Eph. 4:11), presbyters (cf. Jas 5:14), bishops (cf. 1 Tm 3:1), and deacons (cf. 1 Tm 3:8ff), but never priests (Gk. hiereus). So how do Catholics demonstrate the existence of a ministerial priesthood distinct from the universal priesthood? First of all, a careful reading of 1 Peter 2, verses 5 and 9 reveals a reference to Exodus 19:6: ". . . and you shall be to me a kingdom of priests and a holy nation." This text from Exodus indicates a universal priesthood in the Old Testament. And yet, in Exodus 19:22, we read, "And also let the priests who come near to the Lord consecrate themselves . . . " In other words, a universal priesthood in the Old Covenant did not exclude the possibility of a distinct ministerial priesthood as well. It would be natural then to expect the same in the New Covenant. And indeed, that is precisely what we discover. We should not be surprised that the noun "priest" (Gk. hiereus) was not used as a title for New Covenant ministers: This same term was used by the more numerous Jewish and even pagan priests of the first century (cf. Lk 1:8-9, Acts 14:13). Using different titles for New Covenant priests would be one way of distinguishing them. However, the verb form of hiereus is used for New Testament ministers. It is found when Paul speaks specifically of his ministry as an apostle, referring to it as a "priestly service": ". . . because of the grace given me by God to be a minister of Christ Jesus to the Gentiles in the priestly service (Gk. hierourgounta) of the gospel of God…" (Rom 15:15b-16a). Here we see a central clue to the priestly nature of New Covenant ministers that becomes more and more telling as we traverse Scripture. New Covenant ministers reveal their essence as priests by their priestly functions. We do not find this priestly function ascribed to deacons, but we do in the cases of apostles, bishops, and "elders." In this brief analysis, we will only consider apostles and "elders." In Scripture, we see our Lord definitively choosing and sending apostles to act as priests, or "mediators between God and men." For example, after the Resurrection, our Lord appears to the apostles and says to them: "‘Peace be with you. As the Father has sent me, even so I send you.’ And when he had said this, he breathed on them, and said to them, ‘Receive the Holy Spirit. If you forgive the sins of any, they are forgiven; if you retain the sins of any, they are retained’" (Jn 20:21-23). Here, Jesus communicated the power to forgive and retain sins—just as he himself had done—to the apostles. This is a priestly ministry (see also Lv 19:21-22). Some Protestant scholars attempt to evade the rather obvious meaning here by claiming the verbs, "are forgiven" and "are retained" indicate that when Jesus said, "If you forgive . . . they are forgiven," he actually meant whoever’s sins they forgive would have already been forgiven. And even more, they would not have been forgiven through the ministry of the apostle, but by God apart from the apostle. Because "the first verbs in the two clauses are aorists, which imply the action of an instant; [and] the second verbs are perfects," one scholar claims that these verbs "imply an abiding state that began before the action of the first verbs" (Merrill C. Tenney, The Expositor’s Bible Commentary, 9:193). Dr. Tenney’s argument is weak. First, kratete, "you retain," is present—not aorist—tense, indicating that the apostle’s authority to "retain" is ongoing. This fact alone reveals Tenney’s argument to be hollow. But his argument also does not sufficiently acknowledge that these two verbs, "you forgive" and "you retain," in these protases (conditional clauses) are subjunctives contained within indefinite relative clauses. It is true the aorist subjunctive here with regard to whoever sins you forgive would indicate an instant action, but the subjunctive mood within an indefinite relative clause expresses uncertainty or potentiality with regard to the subject. While this is not a proper future tense, it does indicate the future in the sense of something that is possible. This would seem to indicate a conditional thought that must be fulfilled before the apodosis (concluding clause) "are forgiven" could be fulfilled. In short, before the definite event of these sins being forgiven can come about—indicated by the perfect tense—another merely possible event must occur; namely, the apostle must forgive those sins. The text of John 20 is really quite plain. It tells us when the sins spoken of are forgiven: when the apostles forgive them. This is not to say the apostles accomplish this by their own power. Jesus "breathed on them" and gave them the power of the Holy Spirit to forgive sins. But the apostles are revealed to be the instruments of God’s forgiveness. Is any one among you suffering? Let him pray. Is any cheerful? Let him sing praise. Is any one among you sick? Let him call for the elders of the church . . . and the prayer of faith will save the sick man, and the Lord will raise him up; and if he has committed sins, he will be forgiven. Therefore confess your sins to one another, and pray for one another, that you may be healed. The prayer of a righteous man has great power in its effects. Elijah was a man of like nature . . . When it comes to one "suffering;" James says, "Let him pray." "Is any cheerful? Let him sing praise." But when it comes to sickness and personal sins, he tells his readers they must go to the "elders"—not just anyone—in order to receive this "anointing" and the forgiveness of sins. Some will object and point out that verse 16 says to confess our sins "to one another" and pray "for one another." Is not James just encouraging us to confess our sins to a close friend so we can help one another to overcome our faults? 1. James had just told us to go to the presbyter in verse 14 for healing and the forgiveness of sins. Then, verse 16 begins with the word therefore—a conjunction connecting verse 16 back to verses 14 and 15. The context seems to point to the "elder" as the one to whom we confess our sins. 2. Ephesians 5:21 employed this same phrase, "to one another," in the context of teaching about the sacrament of holy matrimony: "Be subject to one another out of reverence for Christ." Even though the text says "to one another," the context limits the scope of the meaning of "to one another" specifically to a man and wife—not just anyone. Similarly, the context of James 5 bears out that the confession "to one another" refers to the relationship between "anyone" and specifically an "elder" or "priest" (Gk. presbuteros). 3. The final words of the passage speak specifically of ministers called by God to minister to his people in his place, i.e., Elijah the prophet (cf. Jas 5:17). 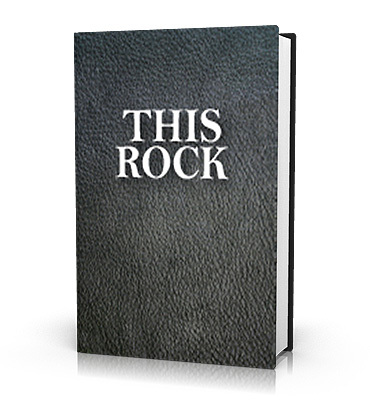 One final text we will examine is Matthew 16:18-19: "And I tell you, you are Peter, and on this rock I will build my church . . . I will give you the keys of the kingdom of heaven, and whatever you bind on earth shall be bound in heaven, and whatever you loose on earth shall be loosed in heaven." Catholics are generally well-acquainted with this text and its meaning with regard to papal infallibility. Here Jesus promises Peter the power to proclaim the gospel on earth with the infallible authority of heaven to back him up. But fewer consider its implications in relation to the forgiveness of sins (see CCC 553). In both cases, we are talking about priestly functions; that is, Peter and his successors are here promised the power to be mediators of both the message of God’s truth and the healing communicated through God’s forgiveness. To put it simply: God’s power being released "from heaven" is contingent upon a future event of Peter and his successors acting on earth. That, in a nutshell, could be a dictionary definition of priest. This article appeared in Volume 21 Number 2. "One day, on my way back from work, I tuned-in to what used to be my favorite station and started listening to Catholic Answers Live. Slowly, the hard shell that had been built around me started breaking apart every time I listened to your show. There have been several programs that have touched me very deeply, even to the point of tears." Is the priest "another Christ" when he says Holy Mass, hears confessions, etc.? Isn't is OK to confess in your heart if you are sincerely sorry? How can we know Jesus is really present in the Eucharist? What is the significance of the number 144,000 to Jehovah's Witnesses? Does the seal of the confessional go against the Bible's admonition to tell the truth? Yearly collections of This Rock Magazine - The early version of what is now Catholic Answers Magazine. "Deviating from faith, they are implicated in the darkness of perpetual blindness, although they have the day of Christ and the light of the Church before them; while seeing nothing, they open their mouth as if they knew everything, keen for vain things and dull for things eternal." ~ Ambrose, Bishop, Father and Doctor of the Church, Saint; commenting in the 4th century on the "wise of the world" who look askance at Christianity, a conflict that has existed from the very birth of the Faith (see "Science and the Church").